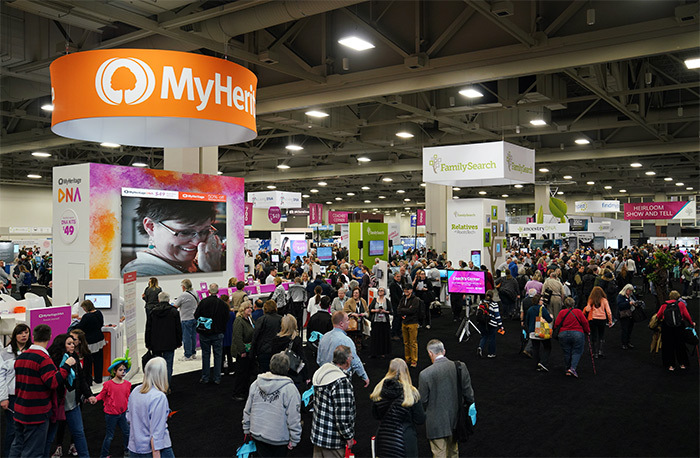 There’s no better way to put your business in the spotlight than by becoming a sponsor at RootsTech. Enjoy special treatment at the conference while you receive significant exposure for your business. Make sales, generate leads, and demo your product to thousands of attendees. To become a sponsor, email our management team at exhibitor@rootstech.org or call us at 1-801-240-8221. Wednesday 6:00 p.m. to 8 p.m. | Thursday 9:30 a.m. to 6:00 p.m. | Friday 9:30 a.m. to 7:00 p.m. | Saturday 9:30 a.m. to 2:00 p.m.